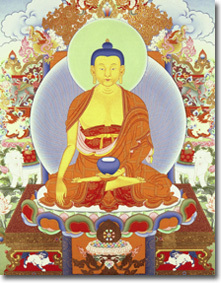 Buddhism is a spiritual tradition that was founded over 2500 years ago during the time of Shakyamuni Buddha. There are many different versions of the Buddha's life, but they all tell of Prince Siddhartha, as he was then known, being profoundly moved by the suffering and apparent futility of life that he saw around him. He resolved to understand what caused suffering, how to free himself from it and so discover life's true meaning. Please be sure to contact us if you want to find out more about meditation. Our teachers have been teaching authentic Buddhist teachings to busy Joburgers for more than 25 years. We are located in Randburg and we have an affiliated Centre in Kensington.